With March upon us many residents of the Northern Hemisphere are looking forward to the spring season and some relief from the cold and snowy weather of the past few months. Moving forward toward any goal requires focus, dedication, effort and commitment. With that in mind, here are some mileposts from The Foundation. 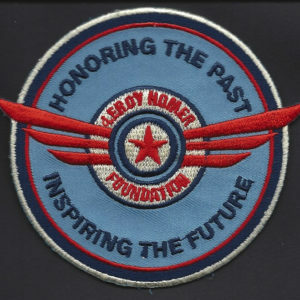 The LeRoy W. Homer Jr. Foundation application window for the 2014 Scholarship Award closed January 31st and we are busy evaluating over 100 individuals who are seeking to be our next Scholarship Recipient. The scholarship committee is busy processing and reading a mountain of paper to find this year’s winner. We anticipate a selection and announcement on or about May 1, 2014 and we hope you will visit the website often for updates and to learn about this year’s winner. Also in January our current Scholarship Recipient, Nathan Sanders, received his acceptance letter to the United States Air Force Academy. Nathan is completing his senior year of high school and is within a few hours of completing his Private Pilot License. We congratulate Nathan on being accepted into the incoming class and we look forward to celebrating his certification as an FAA Certificated Pilot in the near future. On March 1st the US Navy held the commissioning ceremony for the USS Somerset (LPD-25) in Philadelphia, PA. The USS Somerset is the third ship commissioned and named in honor of those whose lives were lost in the terrorist attacks of 9/11/2001. The ship can deliver two amphibious units of motivated marines and their equipment to answer our nations call around the world. The names of the crew members and passengers of United Flight 93 adorn the railings and emblazoned on the Flight Deck wall are the often quoted words “Lets Roll.” There is also a museum within the ship with memorabilia from United Flight 93. With the longer days approaching and the temperature slowly rising, there is much to look forward to in the weeks and months ahead. Much work remains as well. Further work in Washington promoting Secondary Barriers to protect the cockpits of our aircraft. More focus on the threats to our US Aviation Industry and the goals of foreign interests to gain more access to it via Open Skies agreements and offshore Customs and Border Patrol facilities. 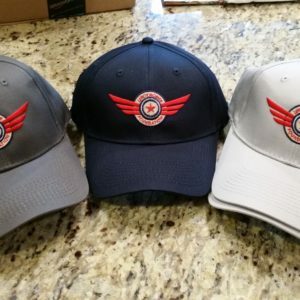 You can be sure we are doing our part to stay focused, show our determination and demonstrate our commitment to encourage and support young adults who wish to pursue aviation careers. I recently had the pleasure of attending undergraduate pilot training (UPT) graduation at Vance AFB in Enid Oklahoma. Courtney Schaer was a 2006 scholarship recipient from The LeRoy W. Homer Jr. Foundation. I was also in attendance when Courtney graduated from the US Air Force Academy in May 2011. I had never been to a graduation at USAFA; it was very emotional for me thinking of LeRoy’s graduation in 1986, nine years before we would ever meet. 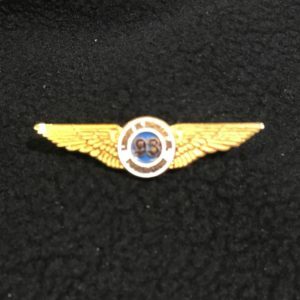 Now here I was again, having the privilege of seeing Courtney complete another major milestone in her aviation career. As is the case with many of our scholarship recipients, we meet them when they are young kids, and somehow they become these adults who can fly airplanes! Reading that essay today, I feel the same way about spending time with Courtney during her graduation. I am able to see a part of LeRoy’s life story through her, which in turn makes me feel even more connected to him. For me, although I didn’t know it when we started the Foundation, is one of the greatest gifts I could have been given. We are in the process of reviewing this year’s scholarship applications, and I have no doubt they will make us just as proud. One of the coolest jobs in the Air Force exists at Yokota Air Base, Tokyo, Japan. On the western edge of the biggest city in the world lies a base with a small unit of Air Force personnel that fly the C-12J. The C-12J is the military version of the Beechcraft 1900C, which can seat up to 19 passengers. Our primary mission is to transport distinguished visitors (DV) which can be military members above the rank of Lt Col, or US/foreign civilian leaders. We also have a deployed mission transporting troops between their forward-operating-base and bigger cities where bilateral meetings and events take place. On a daily basis we fly into airfields all over Japan, Korea, the Micronesian Islands and the Philippines. A typical week for a C-12 pilot may involve flying a mission (transporting a DV to a bilateral function) and flying a training sortie. Our training sorties are meant to maintain our proficiency in the aircraft, especially in responding to emergency situations. On a typical training sortie we may fly Visual Flight Rules (VFR) over Tokyo, practice short field operations (landing at a field that is significantly shorter than an average runway, which requires a precise touchdown in the first 500 feet and stopping within the remaining runway, often 1,500 feet or less), practice instrument flying (referencing only aircraft instruments to maneuver the aircraft without looking outside), and practicing emergency situations (losing an engine just after takeoff, conducting a single-engine landing and conducting a single-engine go-around). Aside from flying, every person has an office job which helps sustain the operations of the squadron, group or wing that they are assigned to. Typical jobs in the squadron are: Training, Safety, Scheduling, Standardization and Evaluation, Assistant Director of Operations, and Executive Officer to the Commander. Currently, I am the Chief C-12J Evaluator Pilot and work in Standardization and Evaluation, assigned to the Operations Group. My primary responsibility is to ensure that our C-12 pilots and C-12 procedures meet standards. I evaluate pilots by giving them a checkride. These checkrides consist of a Ground Evaluation, Flight Evaluation, and Emergency Procedure Evaluation. By testing a pilot’s knowledge of the airplane, their performance in the airplane, and their response to a simulated emergency, I evaluate their overall proficiency level and assign an appropriate grade (Q1 – pass, Q2 –pass, but needed additional training, and Q3 – not qualified). Looking at the “bigger picture,” my goal is to ensure the squadron’s training is sufficient and that the C-12 community is adhering to standards that are required by FAA, ICAO and military rules. As I reach the tail end of my tour here in Japan, I reflect on why the C-12 has been such a rewarding experience. Japan is rich with culture, and I have appreciated being able to experience their traditions and favorite past-times. Being submersed in a completely different language and way of life also brings you closer to your fellow Airman. Our small squadron is much more like a family than other unit I’ve seen. The flying has been incredible, and the opportunity to “pick the brains” of our passengers on the most important national issues, whether they be Congressman or top military leaders, has been a rewarding and humbling experience. Every once in a while someone will ask me why we do not yet have any Black or African American scholarship recipients, so I decided to address this in this blog. The simple answer is that we have few minority applicants. Included in the application itself we have a demographic survey that the applicant can complete if they choose to. About 80% of applicants answer the questions regarding their race, family income and how they found out about our programs. We use this information in several ways – most importantly, to continue to identify ways to disseminate information about our Foundation to anyone interested in aviation including minorities. Interestingly enough, within the current pilot population, women are also considered a minority. So back to the applicant survey, this past year 60% applicants were Caucasian, 7% Asian Pacific, 7% Latin American, 6% African American and 3% multiracial. So although each application is assigned a number and all identifiers – name, address, gender, race are removed and not seen by the scholarship committee, the odds are not great for minority applicants right now. As a way to try to encourage aviation as a career to minority students, we provide a free outreach initiative called “A Pilot You May Be”, an interactive program that introduces elementary school age children to the world of flight. With all that being said, we do not select scholarship recipients based on ethnicity. The Foundation is making a significant investment in someone’s future when we award a scholarship, and we select the most qualified applicants. There are some professions where I think most people are not concerned about gender or ethnicity – they just want the best. I happen to be in one of those professions; I’m a nurse. And I happen to be good at my job. No one has ever requested someone of another ethnicity to care for them. And when I get on a plane, I want to know that I’m flying with the finest, that the most qualified pilots are in the cockpit, wouldn’t you?